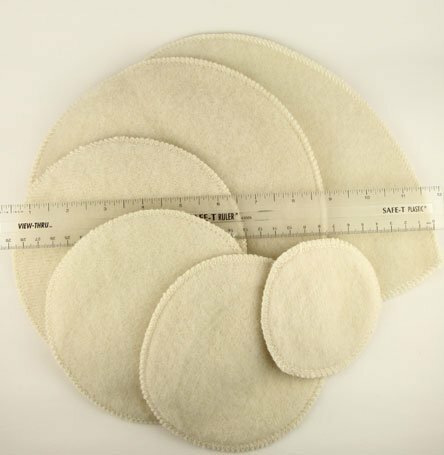 Size: * XS - 5" Small - 6" Medium - 7" Large - 9"
Incredibly soft and soothing, comfortable nursing pads that provide the best conditions for successful breastfeeding. Lanolin's cleansing properties keep the wool fresh and hygenic. Wool can absorb up to 40% of its weight without feeling wet. Protecting your breasts from wind and cold can help prevent plugged ducts and mastitis. 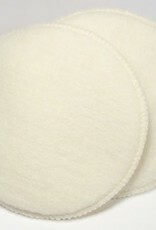 Larger pads give protective coverage over a greater portion of the breast. Once pads have dried, the milk crystals will crumble out. 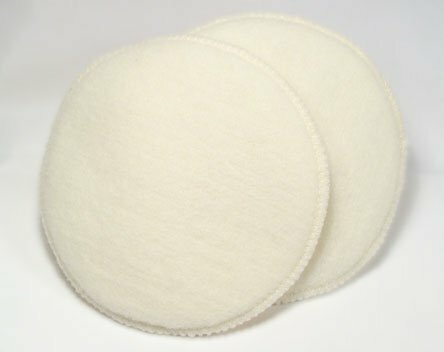 Wash the pads only every 2-3 weeks when stiff, with a gentle soap. Rinse and let air dry. 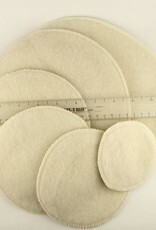 Extra pads are three layers thick and are good for heavy leakage.